As we noted late last week in The Year’s Best Coverfolk, Vol. 1: Tribute Albums and Cover Compilations, it’s been a reasonably good year for full-album coverage. But although tracks from tributes continue to overwhelm singletons in my collection, as in previous years, a significant majority of the songs that lingered came from a mixed bag of borderline genre albums and single shot coverfolk releases, via the usual sources: YouTube and Soundcloud, in-studio sessions, website and bandcamp singles, full folk albums, and more. That we continue to find so much of our favorite coverage of the year outside the album-length covers collection is an ongoing testament to our folk-first, artist-centric approach here at Cover Lay Down. After all, the point of our biweekly forays into the folkworld is to introduce you to the best of the singer-songwriter, roots, americana, bluegrass, and contemporary folk rock and folkpop canon. Our nominal focus on coverage is, in the end, merely a vehicle, to provide an entry into the craft and appreciation of those artists through the comfort zone of familiar song. And that artists, knowing this, remain prone to cover a song or two along the way, granting both a sense of their sound and an exposition of their influence, continues to lend credence to this folk-first mandate. We eschew ranking for single songs; you’ll not find hierarchies here. But I’m not so humble as to enjoy the challenge of creating the perfect mix of coverfolk, circa 2012. 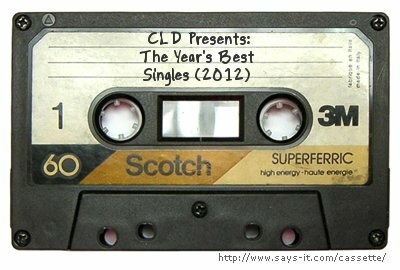 And so, once again, we’re offering a two-part compromise: the short, mostly tongue-in-cheek “Best Of” which appeared on Friday…and here, today, the piece de resistance: a 29-song set of our favorite and most-played tracks from this year’s vast collection of singletons and deep cuts, designed to be downloaded and played in order for maximum emotional impact. Like so many of the songs we posted in part one of this dual reluctance, every one of them gives me chills. Taken together, subjective though they are, they offer a challenge to 2013 and beyond. So download the full set, or pick and choose among the singletons. Compare them against last year’s mixtape, to see how our tastes have changed. Hit the links beside each track to learn more about these amazing artists, and their output, and their journeys. May the coming year bring us evermore joy through shared culture and communion. And may this humble offering grace your ears and raise your spirit, for now and for years to come. And if, in the end, you’ve got goodwill to spare, and want to help keep the music flowing? Please, consider a year’s end contribution to Cover Lay Down. All gifts will go directly to bandwidth and server costs; all giftees will receive undying praise, and an exclusive download code for a special gift set of alternate favorites and rare 2012 covers otherwise unblogged. Many thanks for putting this together, and a Happy New Year to you and yours. Thanks for this,and all your posts over the years. Sorry I don’t comment much, but your work is very much appreciated. You have introduced me to many artists and songs I otherwise would not have heard, and has resulted in my buying a lot of albums I would have been ignorant of. Jesus, I just listened to Rose and Mark four times in a row. In a minute, I’ll make it five. Thank you, for introducing me to this version (see Jubilant Sykes for a compelling rendition in its own right) and for all the music on this and the other lists you share. Your stated intention, above, that we’ll listen and then purchase has consistently come to fruition with this follower over the last couple years, Rose and Mark being just the latest in a long line.